We love Christmas Markets for their cosy, little stalls, nostalgic hot foods but most of all for that warm, festive feeling they leave you with. Germany do wooden stalls and pretty lights better than just about anyone in Europe, but a lot of people aren’t aware of Düsseldorf’s picture-perfect markets. 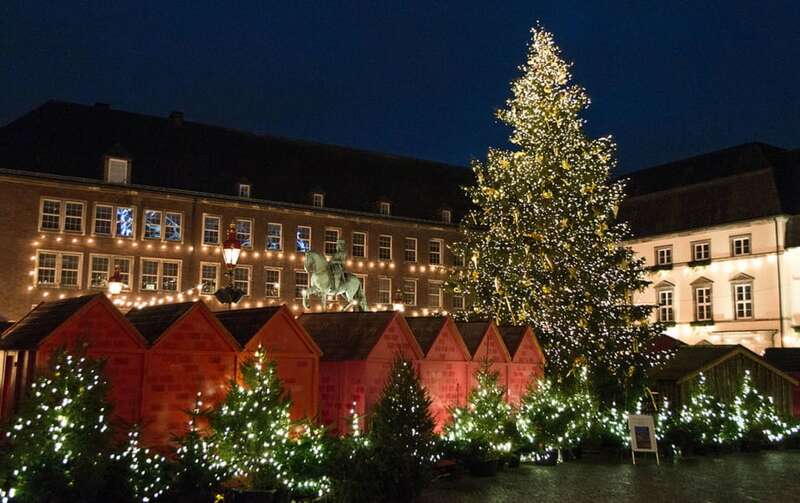 So here to shed some fairy light on the shopping capital of Germany’s 7 sparkling markets is our guide to Düsseldorf’s best bits at Christmas! Engelchenmarkt (Little Angel Market) is a more than a little cute market on Heinrich-Heine-Platz. The theme is unsurprisingly angels and the place is littered with golden cherubs. All the gold and lights gives the place a warm glow as rosy as the angel’s faces. The flower-covered stalls are perfect for traditional trinkets too. All the fun of the fair can be enjoyed under the lights of the Marktplatz big wheel. Set by the old City Hall the market has an old-world charm with mini-Renaissance stalls under the warm glow of pretty lights. Take an even bigger leap through time when you see a hand-carved manger from Bethlehem too! Whether cautiously holding tight to your partners hand or pirouetting across the ice, an ice rink is always skate fun for all the family. To warm back up, children have free reign of an activities tent at the Kö-Bogen and there’s mulled wine and coffee for everyone else. The smell of gingerbread will draw you over to Flinger Straße, just around the corner from the Little Angel Market. The little shops sell colourful Christmas sweets, fresh crepes and gingerbread that look as good as they taste. 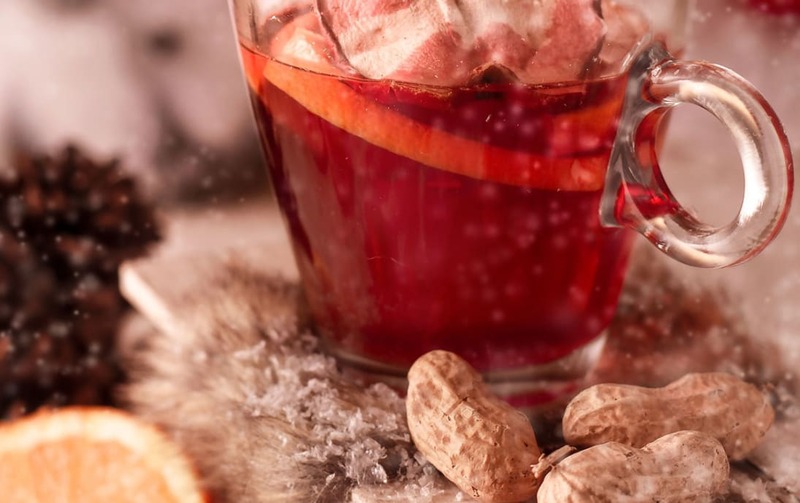 Oh and the Glühwein…. That’s traditional mulled wine sweetened with sugar, citrus, cinnamon, star anise, cloves, and vanilla. Expect a shot of rum in there too if you ask for it mit Schuss! Sternchenmarkt or Little Star market goes for a shimmering lighting theme that’ll have you starry eyed. It’s a great stop to fill up on hot food and cakes under a brighter than bright night’s sky. The smaller market crams in a great selection of craft items and authentic Christmas ornaments. And ornaments in themselves are the traditional musical carousels filling the street with music and laughter. When are Düsseldorf’s Christmas Markets open? The markets are open from the last week of November until the last week of December. Stalls are usually open 11am-8pm Sundays to Thursday and until 9pm on Fridays and Saturdays. 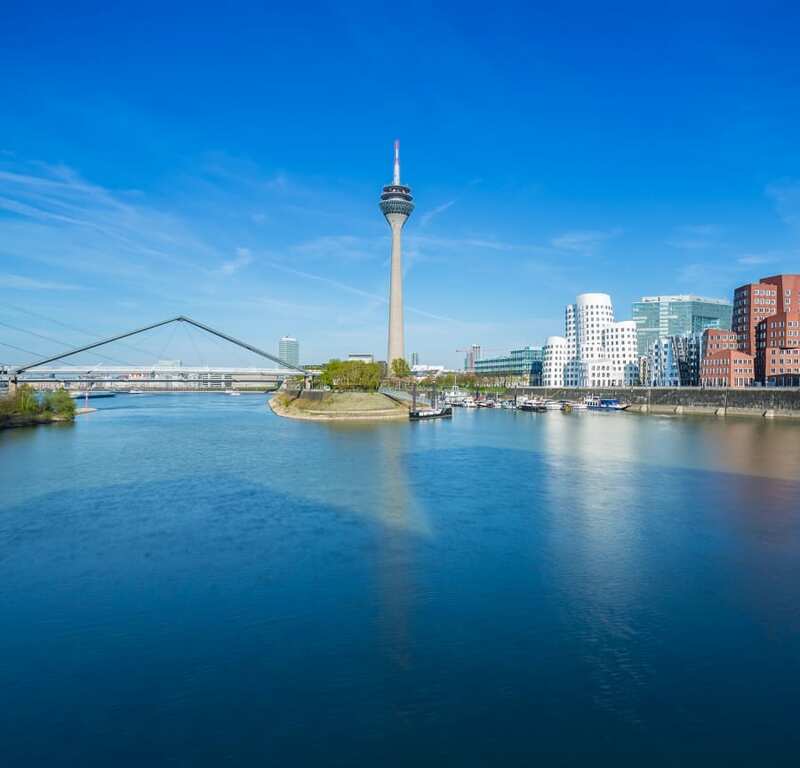 Visit our flight guide for Düsseldorf’s winter schedule or book direct with Flybe. Other magical Christmas Markets in Vienna and Copenhagen are great for those who’ve been there and done Germany. Still not Christmassy enough for you? You can even head to Lapland from Leeds Bradford Airport. Steeped in history, culture and plenty of opportunity for shopping, Dusseldorf is the ideal place to begin a European adventure. It’s a pretty picturesque place to be during the festive season!